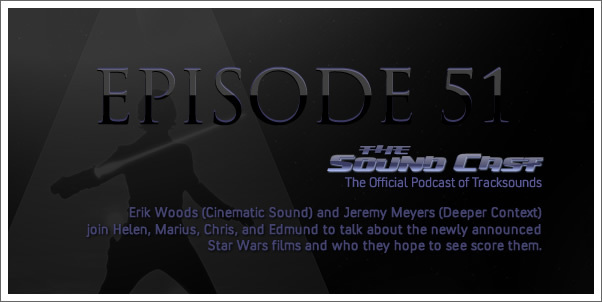 Episode 51: The Return of Star Wars! 00:00 "I always said I wasn't going to do any more..."
13:12 Will John Williams return? 25:50 Is Michael Giacchino on deck? 58:20 What about a video game composer?